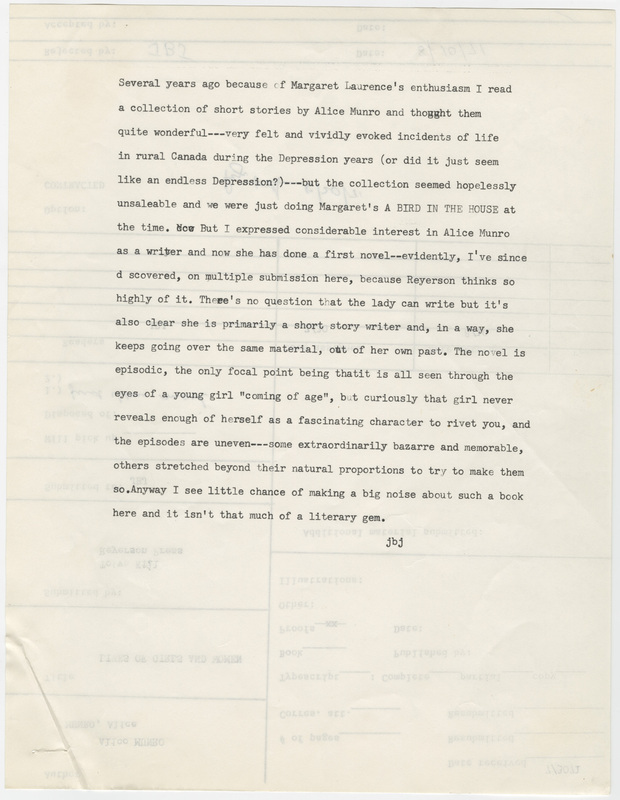 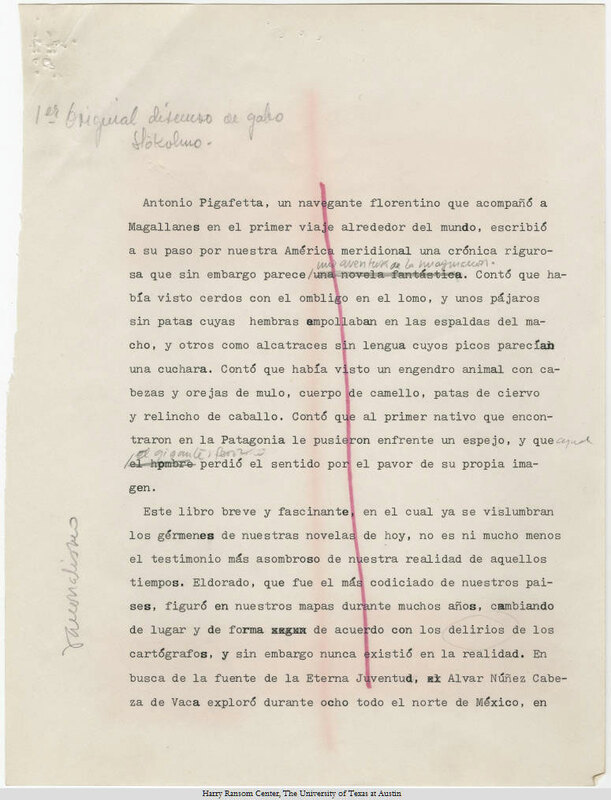 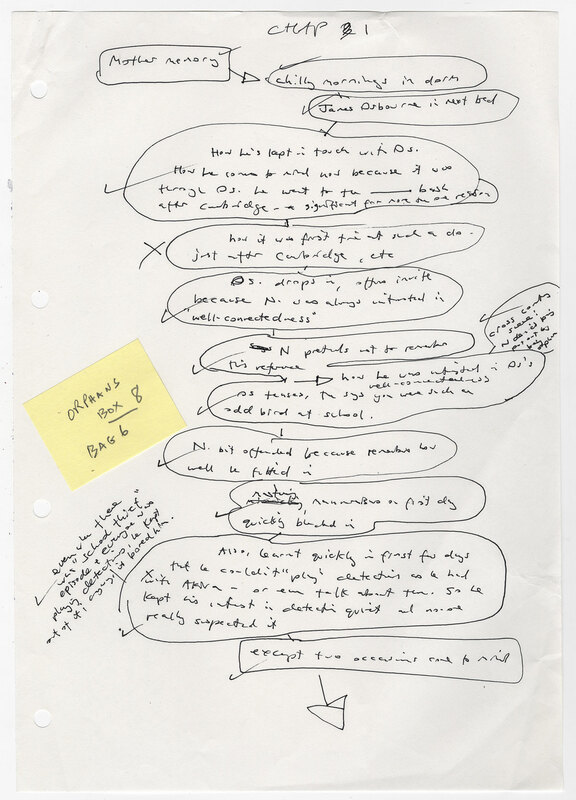 Indeed, documents in the Alfred A. Knopf archive at the Ransom Center reveal that Munro struggled for recognition of the short story as a sophisticated genre from the earliest days of her career. 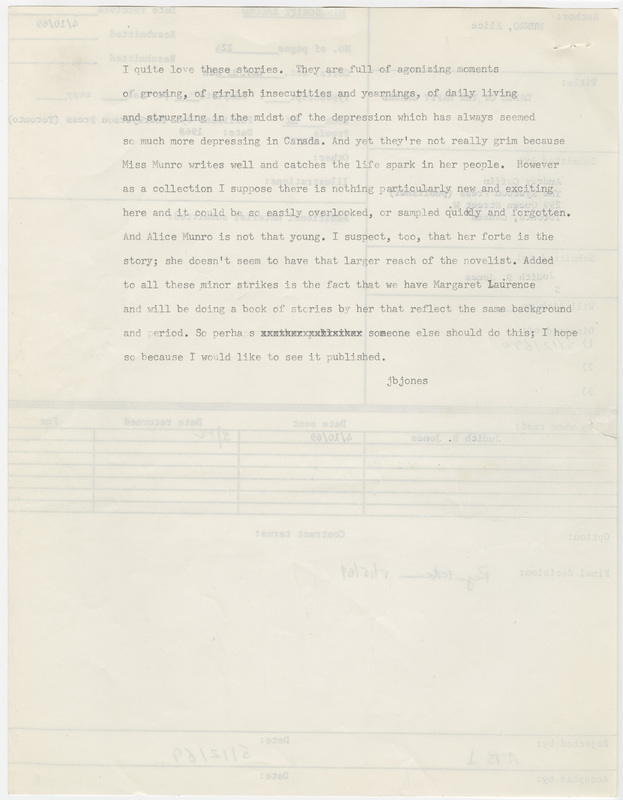 The Knopf collection contains two rejection sheets that address Munro’s work: one for Dance of the Happy Shades (1968), her first book of short stories, and another for Lives of Girls & Women (1971), her first novel. 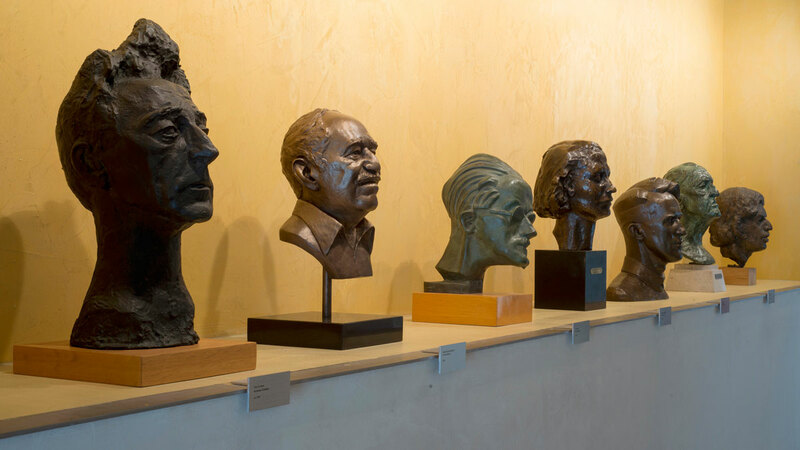 Both books were initially published by the Toronto house McGraw-Hill Ryerson and achieved such accolades in Canada that the firm sought a wider reading audience in the United States. 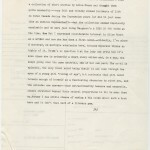 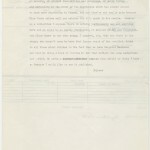 Upon reading Dance of the Happy Shades in 1968, Knopf editor Judith Jones wrote in her rejection sheet that although she “quite love[d] these stories,” she found “nothing particularly new and exciting here.” She also expressed misgivings about Munro’s future ability to develop longer forms of narrative: “her forte is the story; she doesn’t seem to have the larger reach of the novelist.” Two years later, after reading Munro’s first attempt at longer fiction, Jones reiterated her reservation toward an author seemingly not destined to develop into a bestselling novelist; after reading Lives of Girls & Women, she commented, “there’s no question that the lady can write but it’s also clear she is primarily a short story writer,” and anticipated that the book would be “easily overlooked.” Jones rejected the novel, which was published in New York by McGraw-Hill in 1972, to great acclaim. 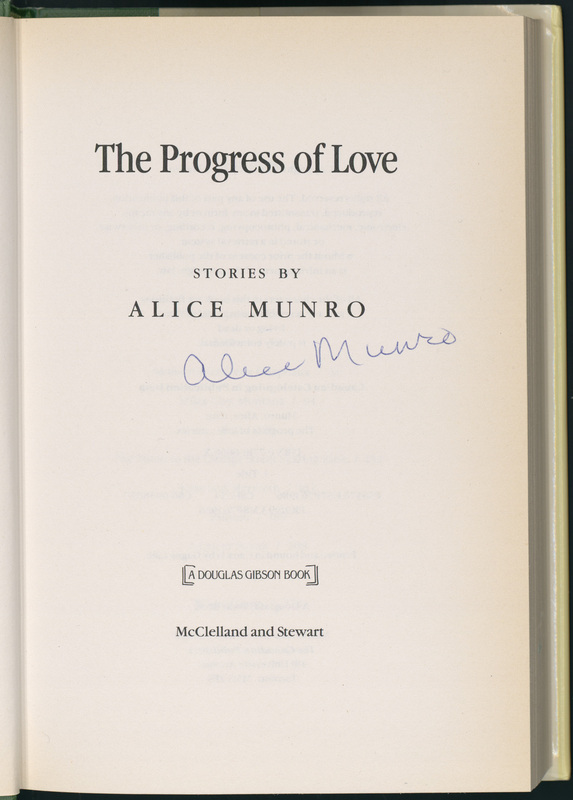 Ironically, the success of Munro’s first novel encouraged McGraw-Hill New York to subsequently publish Munro’s first book of short stories in 1973—nearly five full years after its first appearance in Canada. 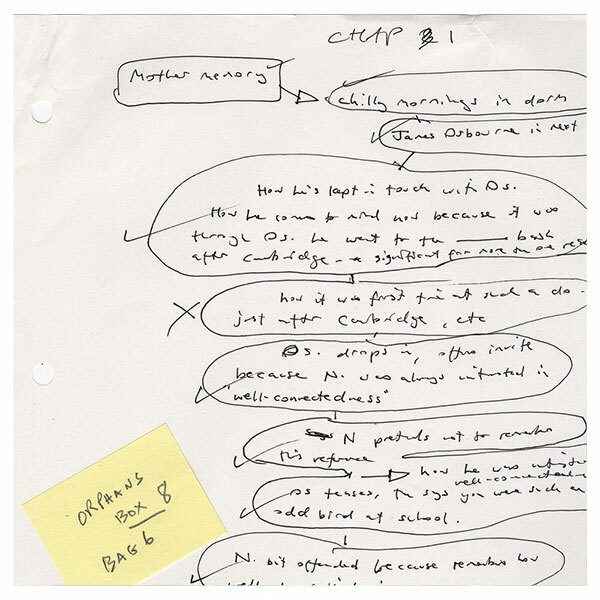 Since 1968, Munro has published 14 short story collections, almost all of which have been translated and distributed worldwide. 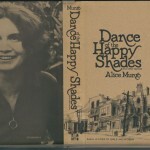 The book jacket of the first American edition of “Dance of the Happy Shades” (New York: McGraw-Hill, 1973). 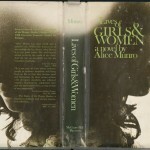 The book jacket of the first Canadian edition of Alice Munro’s first novel, “Lives of Girls & Women” (Toronto: McGraw-Hill Ryersen, 1971).